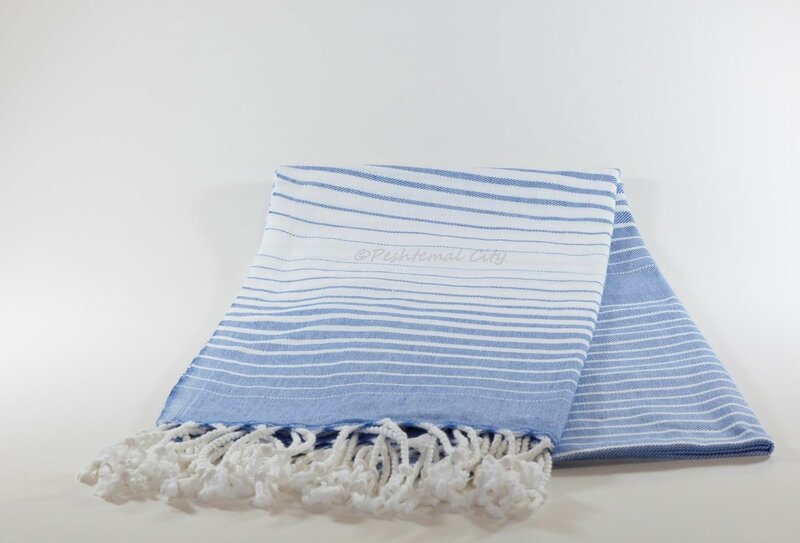 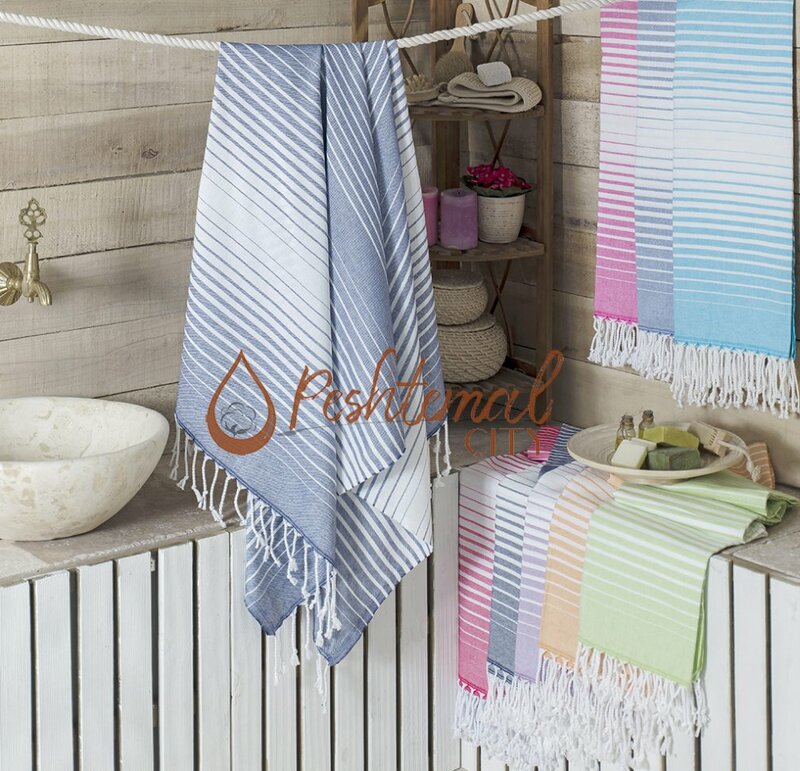 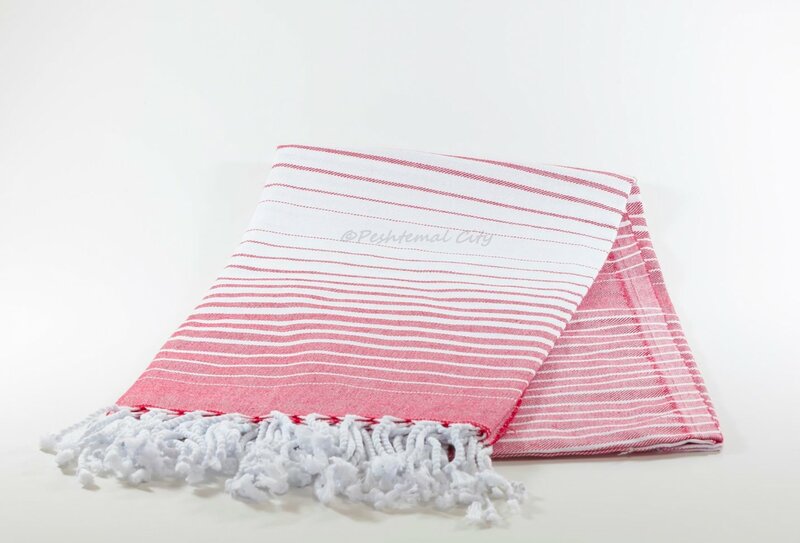 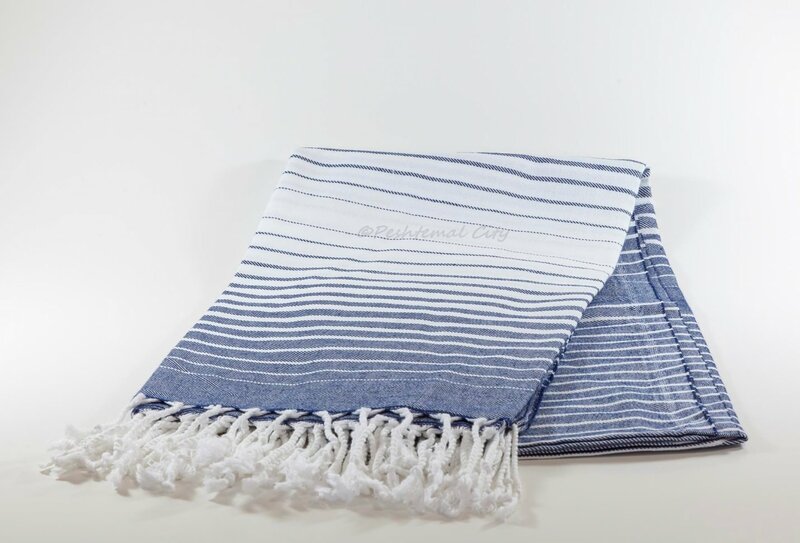 Woven 100% from premium quality Turkish cotton, Rainbow Peshtemal is a high-quality Turkish towel. 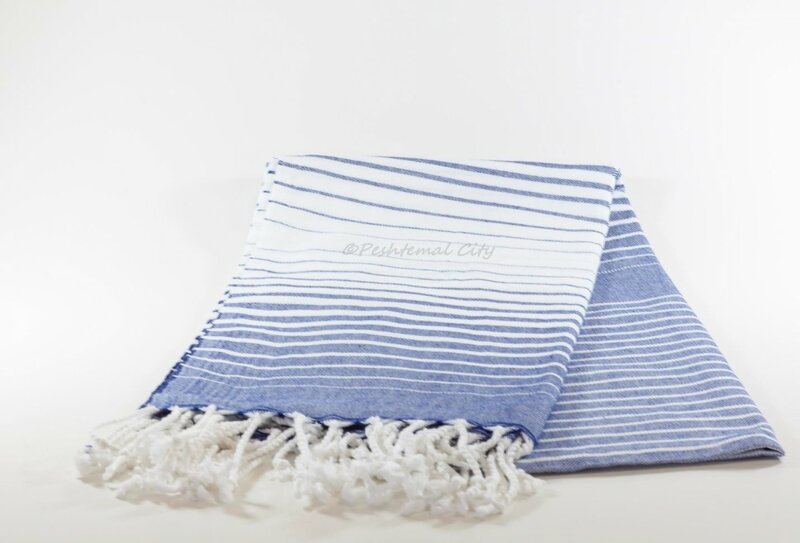 It has a size of 100x180 centimeters and weighs only 260 grams. 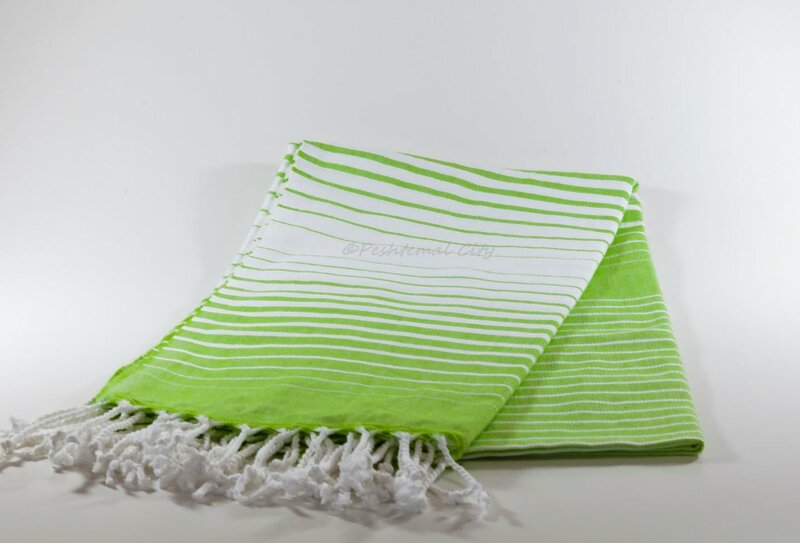 Even though it has a light-weight texture, Rainbow Peshtemal is highly absorbent and quick-drying. It is also soft, and durable. 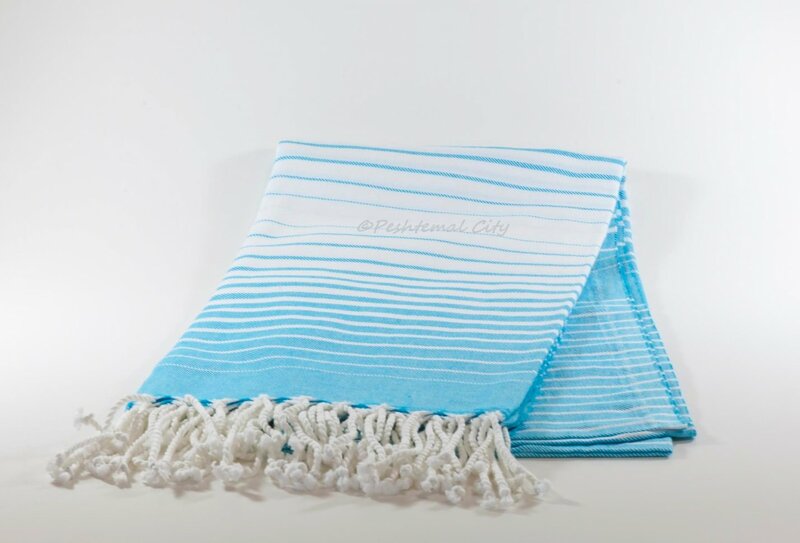 Rainbow Peshtemal is designed with a combination of different colors. 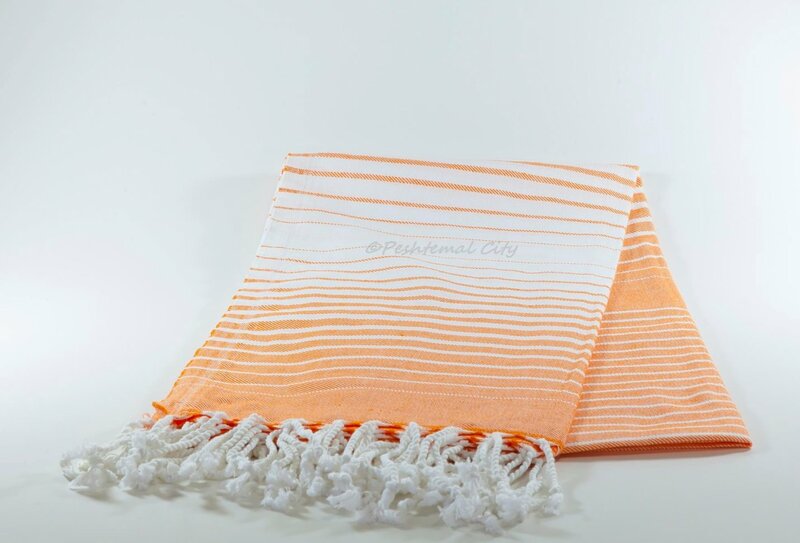 Inspired by the rainbows brightening the sky after rainy weathers, it is one of our most vibrant Turkish towel designs. 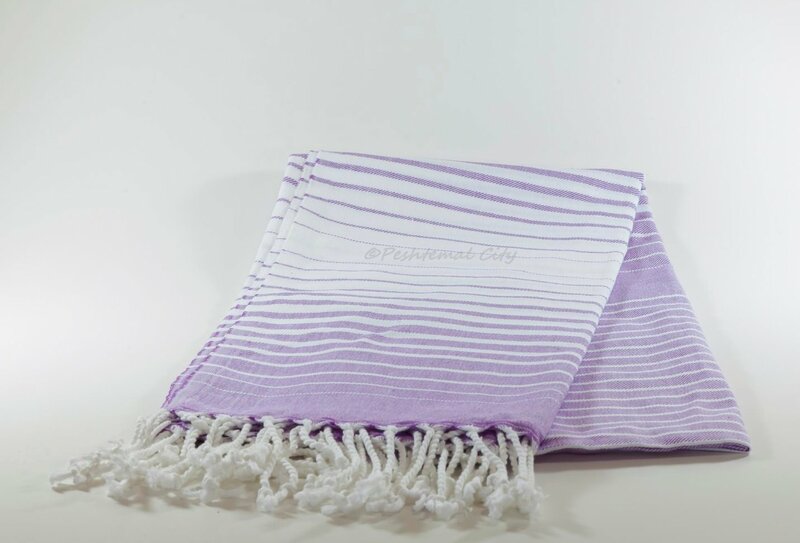 We offer a wide color spectrum for Rainbow Peshtemal. 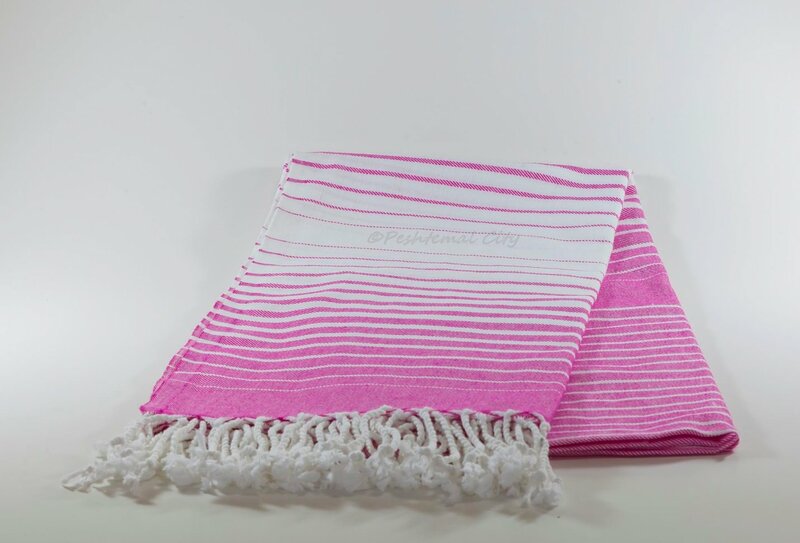 So, you can choose the color you desire to make a perfect combination with your beachwear during your vacations.